That's why Lions International started the Lions Recycle for Sight program. Everyone can help. 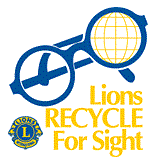 Throughout the year, Malahide Lions Club, Other Lions Clubs, Leos and other volunteers collect used eyeglasses and deliver them to regional Lions Eyeglass Recycling Centers (LERCs). LERC volunteers clean, sort by prescription strength and package the glasses. Most of the recycled glasses are distributed to people in need in developing countries where they will have the greatest impact. Where can you drop off your used spectacles? 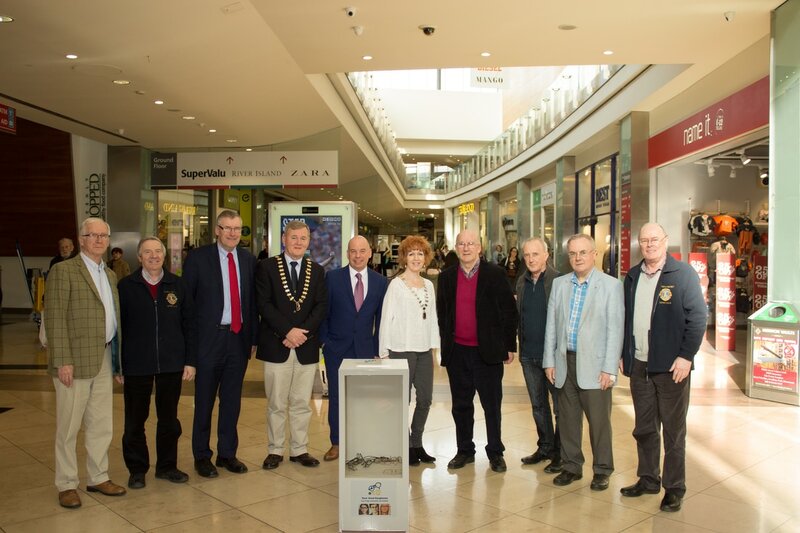 A spectacles collection box has been placed beside the elevator on the ground floor of the Pavilions Shopping Centre, Swords. The brainchild of Malahide Lion Gerry O'Carroll, the Malahide and Swords clubs approached Swords Mens Shed (SMS) who willingly undertook to produce the box, made by their members Patrick Haughton, Matthew Graham and Ken Cullen. The Lions enlisted the help of Joe O'Donnell (Pavilions) to get permission to locate it in the Centre. Photos courtesy of Peter Kealy, Swords. 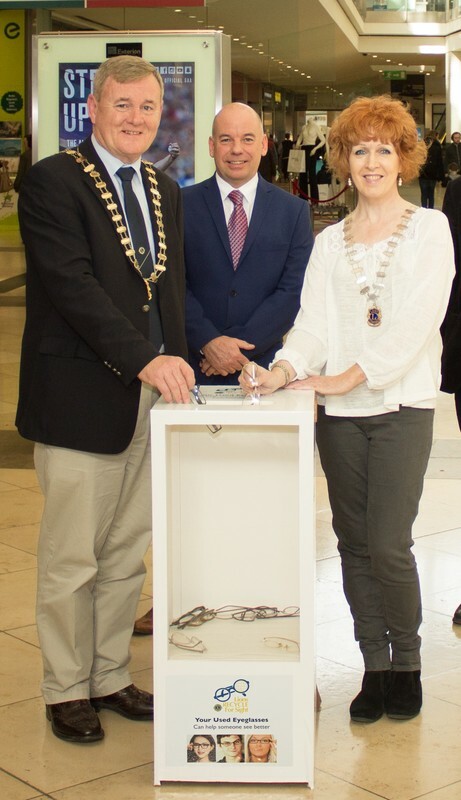 President Seán Quigley,(Swords Lions) and V/President Mary McNamara (Malahide) place the first used spectacles in the box, while Ian Hunter (Pavilions) looks on.